Salesforce is a company I follow very closely. Given their phenomenal growth and the fact they are a longtime customer of ours, I read their quarterly earnings call transcripts regularly. Back in 2016, Salesforce reported “an all-time high in the number of large transactions,” including a net-new nine-figure deal, a nine-figure renewal, and more than 600 (600!) seven-figure plus transactions. When analysts asked how the company had been able to close such a mind-blowing volume of mega-deals, CEO Marc Benioff and President and COO Keith Block shared the secret to their success: they sell directly to CEOs. "When I look at the largest transactions ... every transaction was done with the CEO," said Benioff at the time. "I think it's really unusual, and that's why we're really selling more enterprise software than Oracle or SAP." I recently checked in again on Salesforce, to see what its leaders had to say on their November 2017 earnings call—particularly to see if they offered an update on their C-Suite selling strategy. Salesforce is still growing like crazy; revenues for the quarter were up 25 percent. And, Benioff and block are still crediting the company's success— in large part — to its C-Suite selling strategy. Block has become an active ambassador to the global CEO community. Earlier in the fall he was in Europe, where he says he met with over 50 CEOs. He is also leading Salesforce’s charge to go into customer boardrooms alongside its system integrator partners; companies like Accenture, for example, who—due to the transformational nature of their consulting engagements--have long sold into the C-Suite. Salesforce is also putting a lot of investment behind its effort to be a bona fide digital transformation partner. It launched a robust customer collaboration program called Ignite, that helps customers reimagine how digital transformation could spark new revenue streams, improve operational efficiency, or transform corporate culture. At the end of the program, Salesforce then delivers a draft prototype to the customer for that transformation—whether it’s a mobile app or digital service that happens to use Salesforce software. Salesforce claims that Ignite has moved more than 250 customers toward what the company calls the “digital precipice” in less than two years, driving more blockbuster deals and record revenue. The Ignite program is brilliant in that it not only enables visionary CEOs to co-create their future—with Salesforce—it also gives Salesforce invaluable insights into customers, leading to more effective collaboration and deeper relationships. What Benioff and Block understand is that all C-suite executives are intently focused on the increasingly critical role technology plays in the business. They have to be to if they want their companies to survive. 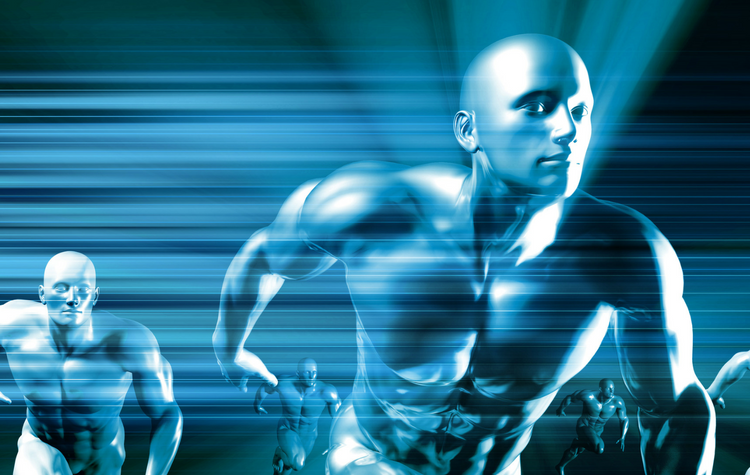 Digitalization after all, is no longer just about back-office issues, but the totality of the business. 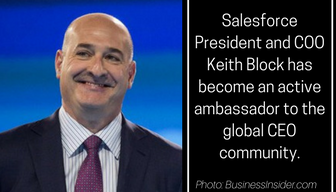 The entire C-Suite is looking for help and guidance, and Salesforce’s top brass is willing and ready to provide it. 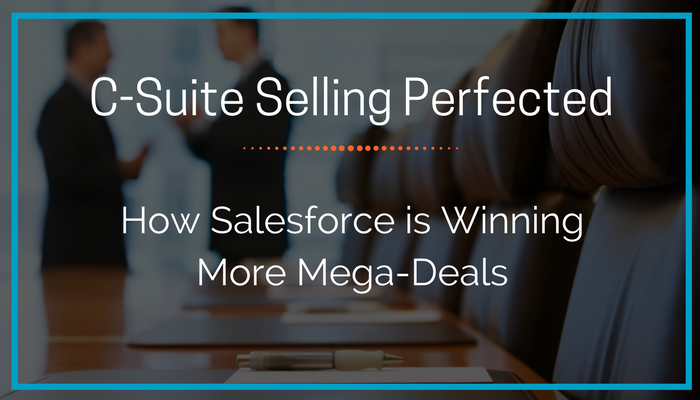 That is why Salesforce is winning more mega-deals. 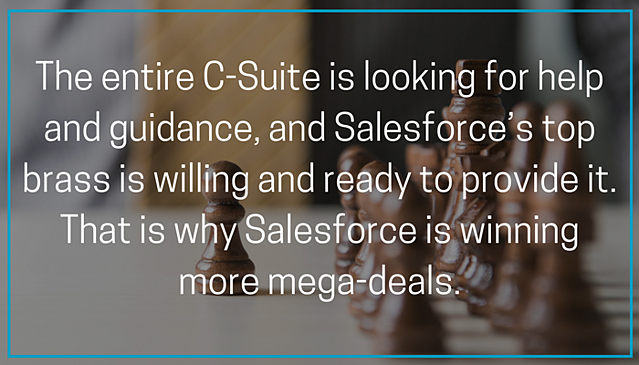 Salesforce’s sustained success with the C-suite is enviable—but hard to duplicate. It takes committed leadership to mandate and invest in C-Level engagement and turn it into an ongoing sales strategy. Not all leaders are like Benioff and Block, who can enter a meeting with their counterparts and their boards with the confidence and aptitude for conversations that lead with vision but incorporate practical technical and business recommendations. They’re the ultimate sales guys. A mandate from the top. Your C-level leadership must buy into a C-Suite selling strategy and be willing and able to support it, personally. Maybe it’s not the CEO, but someone at the C-Level needs to be the designated ambassador to the customer C-Suite. Serious sales hustle. A lot of work needs to happen before your C-Level execs are invited into your customers’ boardrooms. The road to the C-Suite is typically paved by hard-working account teams, who put in months of effort to make that first meeting happen. You need a strong enterprise sales team that is not afraid to sell high and engage C-Level players. And, they better have a high level of business acumen. Sustained executive insight and programs. 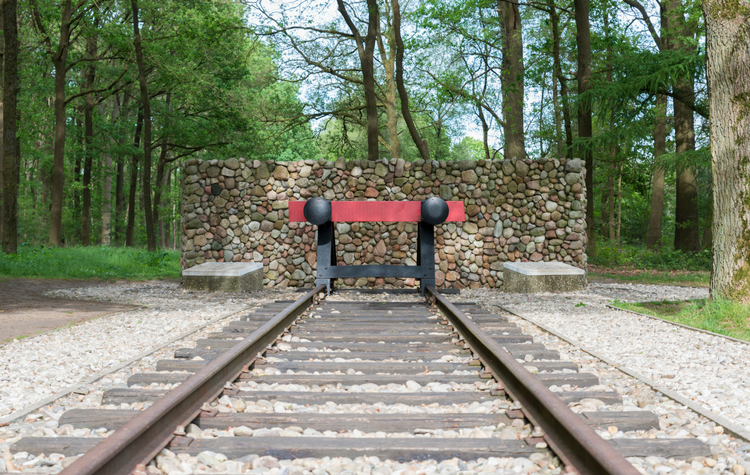 You need the infrastructure to support ongoing CXO engagement. 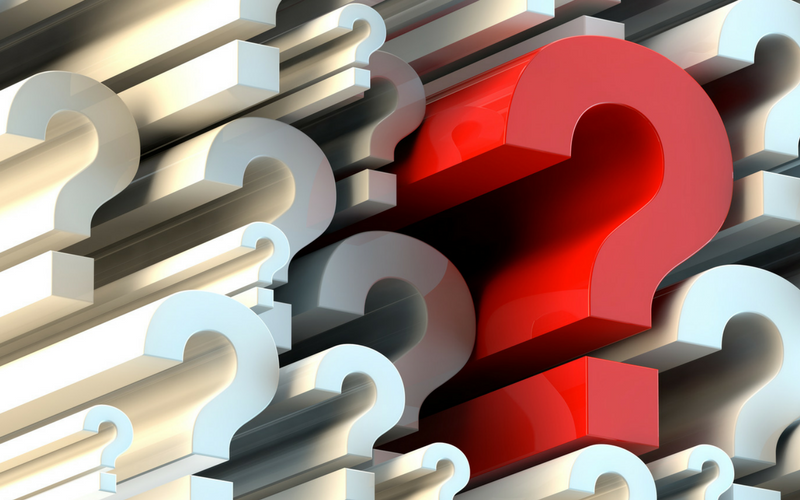 This should include a source for readily-available, deep customer insight; C-Level programs such as events and content; and robust account management and support so that what your C-Level executives promise customers actually gets followed up on and executed well. Finally, don’t forget to measure success. 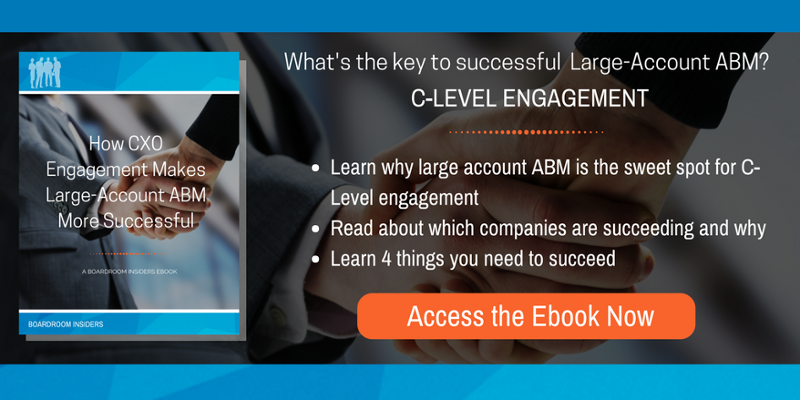 Gather input from your account teams and track major deals that get CXO engagement versus those that don’t. Remember Benioff’s quote above: "When I look at the largest transactions ... every transaction was done with the CEO,” he said. This kind of success and feedback drives enthusiasm with account teams and other C-Level executives—which drives even more success. Salesforce’s big bet on C-Suite selling can either intimidate other tech vendors or be a valuable proof point of the ROI of such an approach—as well as a source of inspiration. Their success inspires us to keep doing what we do, which is support them and other organizations with critical insight into what C-Suite customers are saying and doing—and what problems they need help solving. Isn’t that what being a true business partner is all about?